Is Buying a Home Your New Year Resolution? The holiday season is all about traditions, and one of the biggest traditions is making a New Year’s resolution. It’s time for many of you to start thinking about your New Year’s resolution. What if your resolution is owning a home? After all, it’s a new year and a new you. As we head into 2019, more millennials are aging into their early or mid-thirties and are interested in homeownership. They continue to be the primary drivers of homeownership demand. According to Keeping Current Matters, more than half of the purchased mortgages originated by Fannie Mae and Freddie Mac in 2018 were to first-time homebuyers. So, what is Fannie Mae and Freddie Mae? Fannie Mae and Freddie Mac are two big reasons we have 30-year fixed home loans in the US. Fannie Mae loans offer down payments as low as 3 percent. While Freddie Mac Loans offer down payments as low as 3 to 5 percent. 86 percent of millennial buyers consider owning a home to be more affordable than renting. · 80 percent of millennial buyers say homeownership has positively impacted their long-term finances. · 60 percent of millennial buyers would encourage their younger selves to start saving for house sooner. Most millennials feel that the economy’s holding steady, and the time could be right to buy. If that sounds like you, make your new year resolution come true. Feel free to start the process off right by talking to us. We can answer your questions and help you get pre-qualified. Millennials are becoming more and more in touch with their credit scores. This is partly because many of them are coming to the age where they tend to be more interested in buying homes and having low insurance rates. Building credit at a young age can be beneficial down the road when it comes time for some of life’s big moments. However, there’s so much misinformation about how to deal with credit. Believe it or not, more than 1 in 5 credit card users have wrongly carried a balance to help improve their credit scores. So, getting the right information about good credit management is key. How can millennials build their credit score? See below for some helpful tips! When opening their first credit card, Millennials must make sure to only charge an amount they can afford to pay off every month. To avoid higher fees and big credit issues, try to pay it on time and continue to have a low balance. Having lower credit card balances compared to your credit card limits will reward you with higher credit scores. If you want to improve and maintain a good credit score, it’s important to keep your balance at or below 30% of your credit limit. Missing a credit card payment will affect your credit score immensely. Unfortunately, missed credit card payments are one of the most common things Millennials tend to do because they seem to forget about them. To avoid getting a red mark on your credit report, set up automatic payment on credit card accounts. This will help ensure that the bills don’t slip by. Millennials tend to forget that they had bills to pay in the first place. To avoid any conflict, try to follow up about bills and check to see if any debt is owed. Another way is to request a credit report from a national credit reporting company such as Equifax or Credit Karma. This can be done for free every 12 months to see where you stand on your balance. In any case, do more research on credit scores before you purchase a home. It’s important to have some knowledge about what goes into your credit score, how to improve them, and news on changes to the credit scoring and reporting industry. 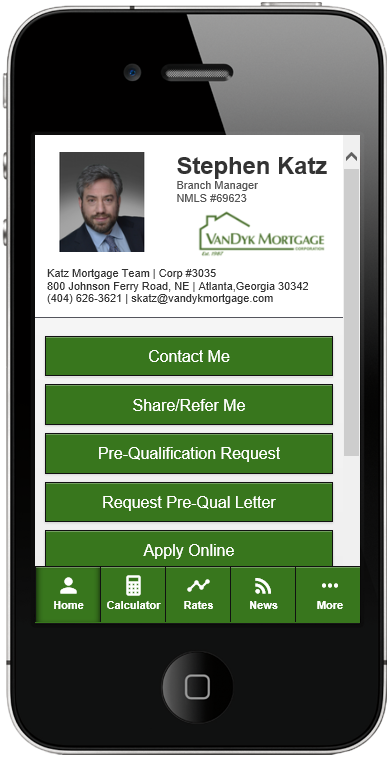 If you want a full team of Mortgage Professionals, we’re happy to help. Acting now is a wise way to achieve your goals for tomorrow! Please don’t hesitate to reach out to us, we look forward to hearing from you! Moving into a new home can be a huge transition for anyone, especially children. And while you can’t do much about combining your job and your pets into the move, your children most certainly can give you a helping hand! It’s a great way for your kids to learn to pitch in with responsibilities and what better way than to help with such an “adult” task. So instead of getting them distracted by watching TV, show them how to stay productive. Kids and house hunting, is it possible? Oh yes, it is! Honestly, it’s important to get your kids involved in the search for a house. Taking your kids with you will help them get excited for the move and help you by providing some input on the house. By getting them involved, you’ll learn some important insight and what they consider to be a perfect home for all of you. Of course, don’t drag them to every house since it can be tiring. Wait until you narrowed down your options before bringing your kids with you. That way, they will feel included in the process. Having those extra eyes for evaluating what you find would be worth it! When packing, one of the important things you would want to do is bring less items to your new home. Toys are one of things you would want to consider getting rid of! This is a great opportunity for the kids to understand the importance of giving back - after all you don’t want unnecessary toys to overflow when packing. Give them an empty box and tell them to fill it up with things they don’t need anymore. So, whenever they are ready, you can go together to drop them off at a donation site. The moment you finally arrive at your new home, you turn the key and open the front door. You might feel relieved until you realize everything you own needs to be unpacked. Moving is a big transition, and it can be very overwhelming. Get your kids involved by allowing them to be in charge of unpacking things in their own room such as their clothes or putting books on their bookshelf. Items that are easy for them to carry. It’s a great way to include them by making them feel like they are in control of their space. Having the kids help you with this “adult” task can make life a little easier! There’s plenty to be excited about when you move into a new house. Thinking about buying a house? You don’t want to miss out finding the right house to call your home sweet home! Give us a call or send us an email! We look forward to hearing from you!